I don’t know anything about coding. I know, not good for someone who spends a lot of time online! My daughter is really into coding right now, and I have not known what to do to inspire or help her along this path. Until now. Thank you Girls Who Code! Girls Who Code: Crack the Code! 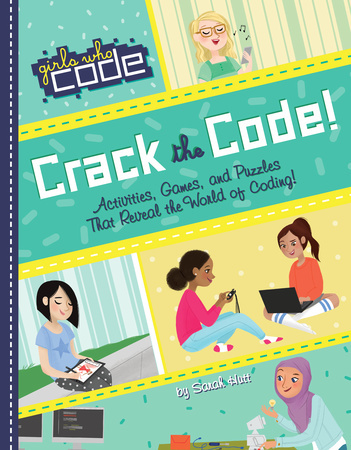 by Sarah Hutt is full of activities, games, and puzzles that reveal the world of coding. It is put forth in conjunction with Girls Who Code.com. “You might not realize it, but computer coding is everywhere! It’s not just in your phone and computer, but also in music, movies, robots, spaceships, and more. The world is powered by code, and your key to understanding how is at your fingertips! 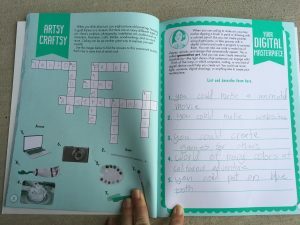 This activity book is packed full of activities surrounding coding. 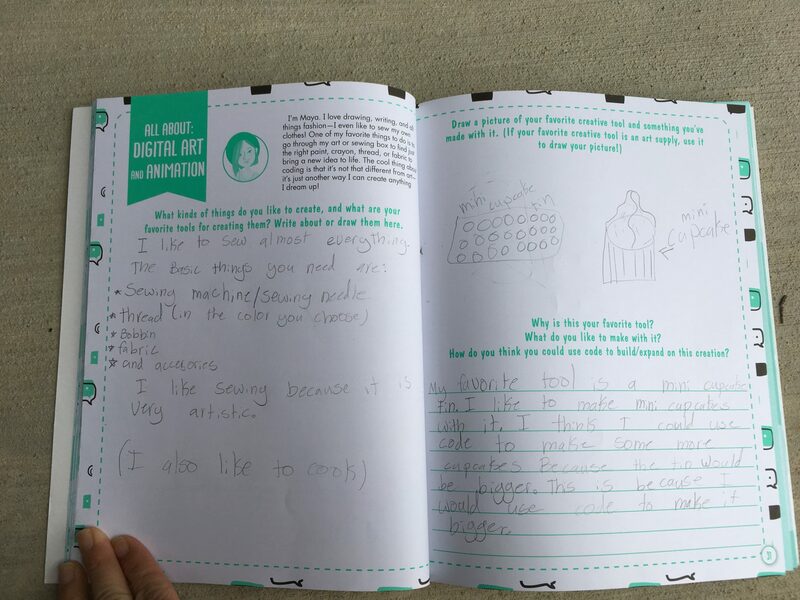 It has a topic for everyone: robots, digital art and animation, sports, and music. 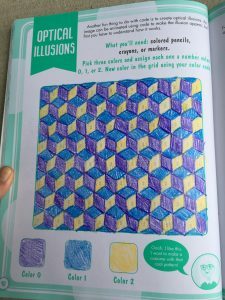 There are activities like mazes, crossword puzzles, collages, and designing your own emojis. Then there are activities that are more in-depth like cutting out and gluing together your own robot or working with a partner and having your partner draw as you explain step by step what to draw. 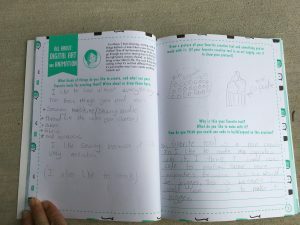 There’s a fortune-teller that you may cut out, and activities that you do on each side of it. This looks like so much fun! I like how it breaks everything down into bite-size chunks so you learn, but don’t get overwhelmed. 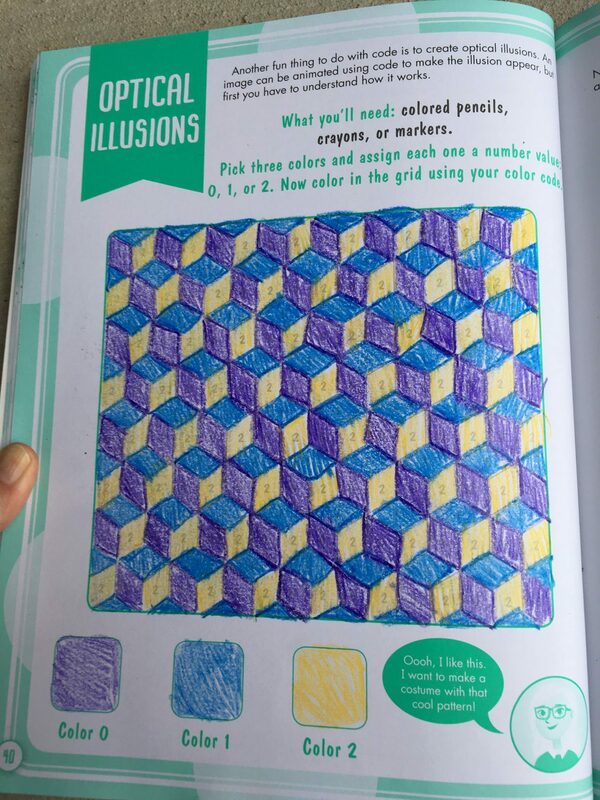 I had my 12 year-old daughter do a bunch of these activities. She had a lot of fun! 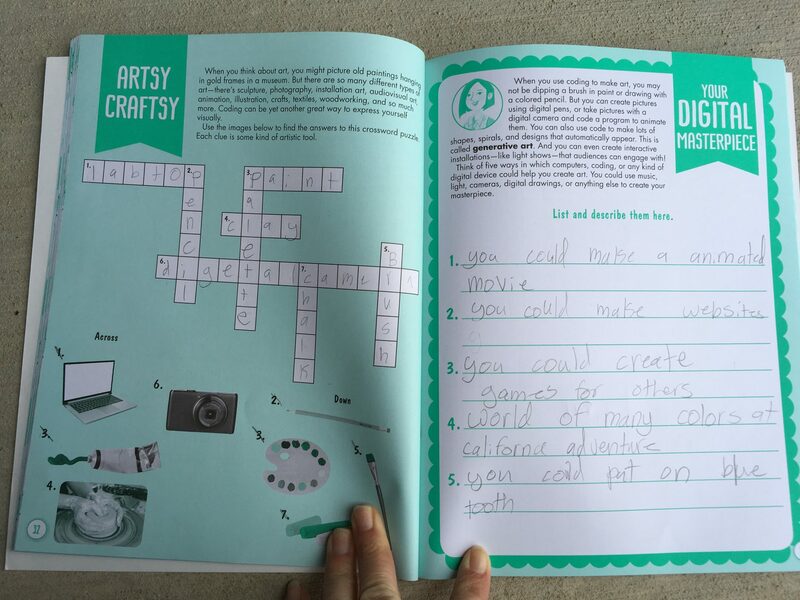 She is really into coding right now, so I’m just going to have her keep on going in this book!